This is for advanced players who play competitive junior tournaments, and desire to play high school or college tennis. Development of these players will be the most intensive in the academy. It will be a comprehensive program including, physical, mental, emotional, and strategic training. This class is to specifically prepare players to achieve in tournaments and ultimately to play college tennis. Players must be committed and highly motivated. Monday, Tuesday, Wednesday, Thursday, Friday 5:30-7:30 P.M. This is for younger advanced players who play competitive junior tournaments and desire to play high school or college tennis. Development of these players will be the most intensive in the academy. It will be a comprehensive program including, physical, mental, emotional, and strategic training. This class is to specifically prepare players to achieve in tournaments and ultimately to play college tennis. Players must be committed and highly motivated. 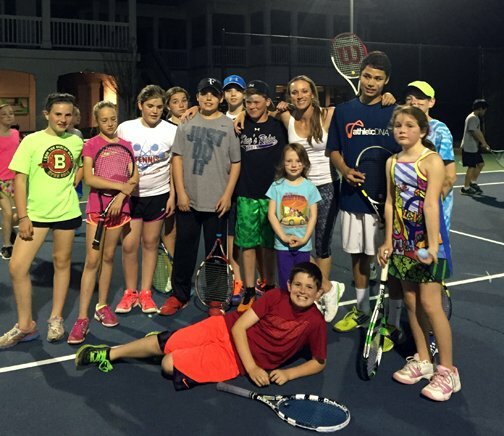 TThis is for intermediate players who desire to play high school tennis or beyond. Players must have had match play experience and play in USTA and ALTA leagues. Players will learn match play strategies, increase rallying abilities, and improve proper technique. This is for players in 6th- 12th grade. Players must be able to: sustain a 15 ball rally, use slice and topspin, consistently get serves in with a continental grip. Monday, Tuesday, Wednesday, Thursday, and Friday 5:30-7:30 P.M. 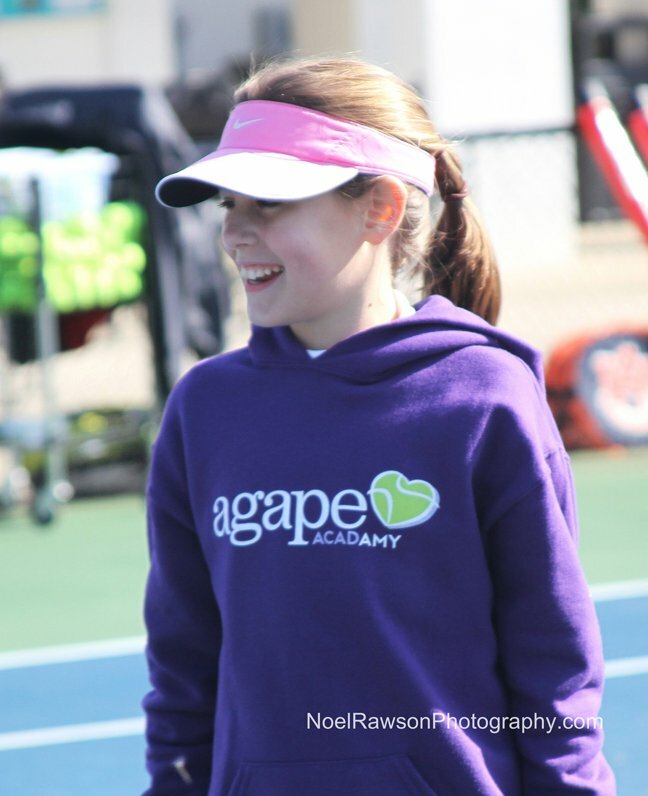 This is for younger intermediate players who desire to play high school tennis or beyond. Players must have had match play experience and play in USTA and ALTA leagues. Players will learn match play strategies, increase rallying abilities, and improve proper technique. This is for players in 2nd-5th grade. Players must be able to: sustain a ten ball rally, use topspin, and consistently get serves in. Tuesday, Wednesday, and Thursday 5:00-6:30 P.M. This is for beginner and advanced beginner level players who are looking to learn and improve in a fun and recreational environment. These players will learn proper technique, rallying abilities, how to keep score, play matches and prepare for USTA and ALTA league teams. Players will develop the skills needed to enjoy the sport for a lifetime. Monday: 4-5:00 P.M. Monday: 5-6:00 P.M. Monday: 6-7:30 P.M.
Wednesday: 5-6:00 P.M. Wednesday: 6-7:30 P.M.
Payment is due at the beginning of the month. Credits are only issued for rain outs or other weather- related cancellations. When registering, you must choose which specific days your child will attend. If you miss a class, you can make up that class on another day only if you notify the office manager by email 24 hours in advance. This is to ensure proper player to coach ratios. All rain out credits will be applied to the following month’s payment. All junior players must have proper equipment including tennis shoes, correct sized tennis racquet, and a large water jug to bring to class.